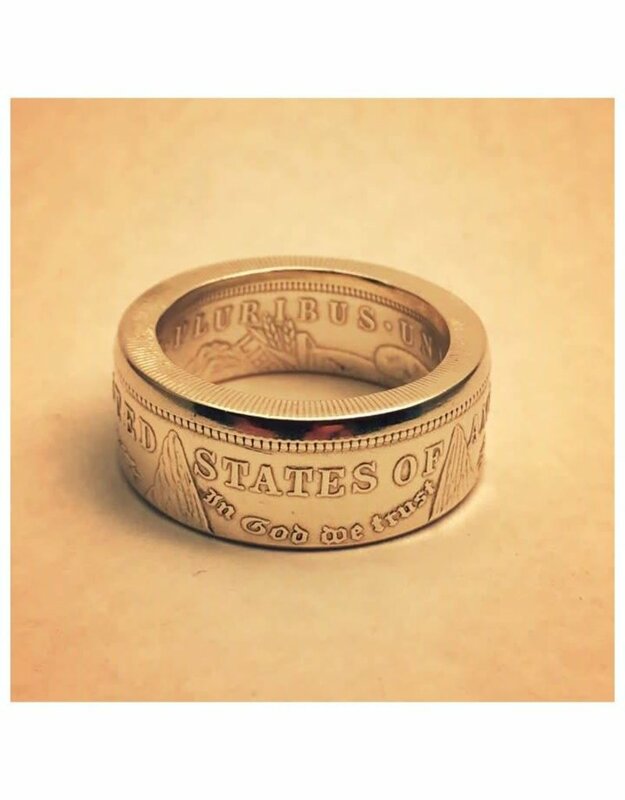 This is a United States Mint Morgan Dollar coin ring. This ring is substantial and would look great on a man's finger. 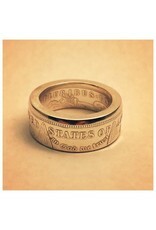 Rings this size are often referred to as a "Gambler's Ring". This piece of wearable history is made by a local Huntington artist. The coin is 90% silver. This is a size 12. Customers should refrain from cleaning the actual coin. They are all sealed with jewelry grade sealant or enamel and should never tarnish or need cleaning.